Genetic studies on core versus peripheral populations have yielded many patterns. 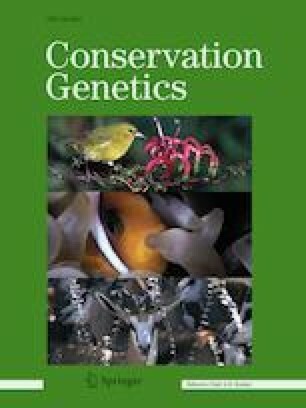 This diversity in genetic patterns may reflect diversity in the meaning of “peripheral populations” as defined by geography, gene flow patterns, historical effects, and ecological conditions. Populations at the lower latitude periphery of a species’ range are of particular concern because they may be at increased risk for extinction due to global climate change. In this work we aim to understand the impact of landscape and ecological factors on different geographical types of peripheral populations with respect to levels of genetic diversity and patterns of local population differentiation. We examined three geographical types of peripheral populations of the endangered salamander, Salamandra infraimmaculata, in Northern Israel, in the southernmost periphery of the genus Salamandra, by analyzing the variability in 15 microsatellite loci from 32 sites. Our results showed that: (1) genetic diversity decreases towards the geographical periphery of the species’ range; (2) genetic diversity in geographically disjunct peripheral areas is low compared to the core or peripheral populations that are contiguous to the core and most likely affected by a founder effect; (3) ecologically marginal conditions enhance population subdivision. The patterns we found lead to the conclusion that genetic diversity is influenced by a combination of geographical, historical, and ecological factors. These complex patterns should be addressed when prioritizing areas for conservation. The online version of this article ( https://doi.org/10.1007/s10592-019-01181-5) contains supplementary material, which is available to authorized users. This study was funded by ISF Grant No. 961-2008 awarded to Leon Blaustein, German-Israel Project BL 1271/1-1 awarded to Leon Blaustein and Alan R. Templeton and STE 1130/8-1 awarded to Sebastian Steinfartz and Arne Nolte and Grant Nos. 129662 and 134728 from the Academy of Finland awarded to Juha Merilä, and partial funding from the Israel Nature and Parks Authority. The field collection of salamanders, experimentation, and their release were conducted according to the Nature and Parks Authority Permit 2015/41180 and with accordance to the guidelines of the Animal Experimentation Ethics Committee at Haifa University Permit Number 033_b9947_6. We thank Kirsi Kähkönen for her help with lab work and Antonina Polevikov for her help with field work.